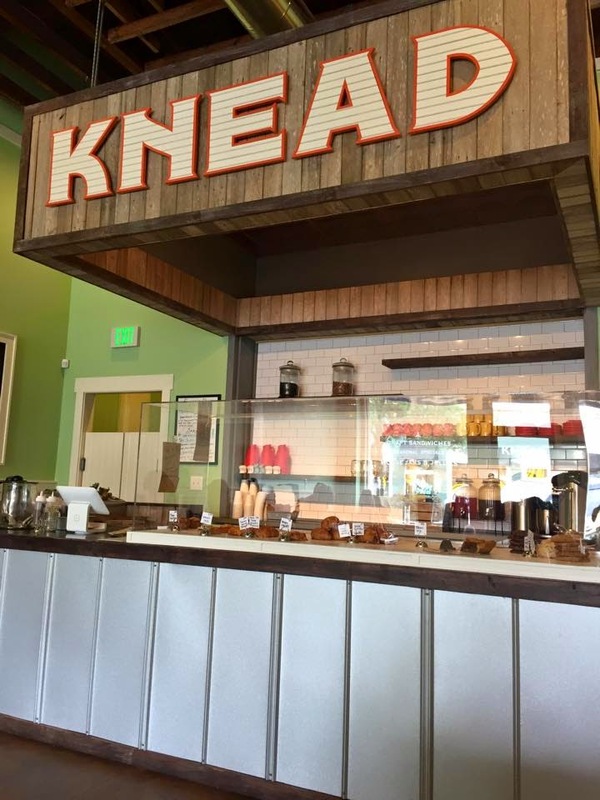 My friend Nate (Nom Nom Jax) and I decided to venture out to Knead Bakeshop on Sunday for lunch. Knead has been on my radar so I was pretty eager to try them out. 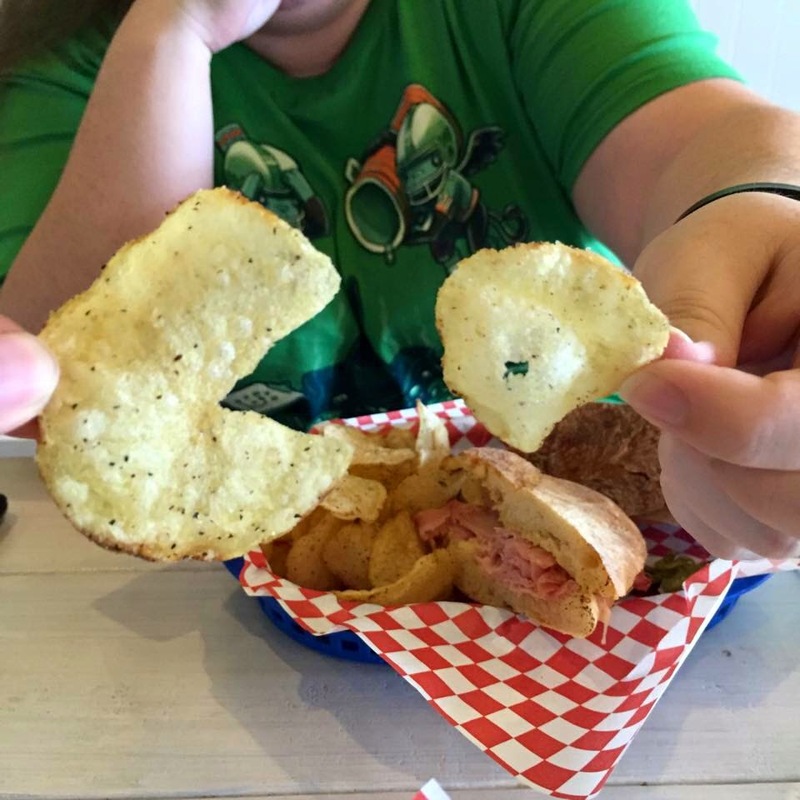 The best part about going with a friend, is getting to split 2 sandwiches! We got the Ham & Brie and the Jamon Serrano. Let's start with the Jamon Serrano, which had apples, manchego, and honey. I have never had a sandwich with apples on it, but it really works! The apples were thinly sliced and helped with the dryness of the sandwich. They gave a nice small crunch and were delicious. 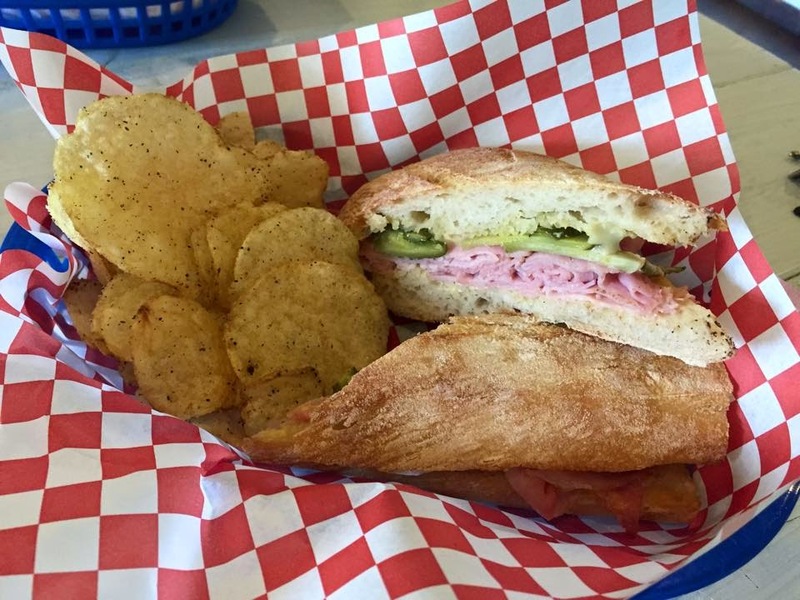 Now on to the Ham & Brie, which also had dijon butter and cornichons (aka baby pickles). This sandwich was my favorite! It was delicious! The ham was thinly sliced and very tasty. 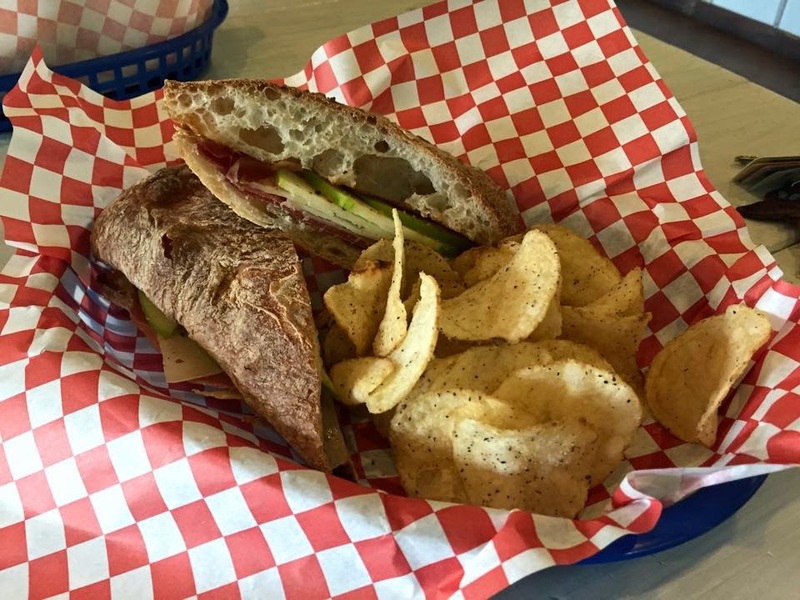 I also want to mention that the bread on both sandwiches is great. Firm yet soft on the inside. Now on to the sides. The kettle chips need to be featured all on their own. The seasoning on those chips is finger licking delicious. Plus, we had a video game star in our basket! This place is great! They offer breakfast as well as lunch, and offer some bakery items as well. They don't have a large menu, but that's not a problem for me. They are a small shop and have perfected the sandwiches that they do offer. I liked this place so much that I'm already planning a trip next weekend with the hubby!